George Nathaniel Curzon, 1st Marquess Curzon of Kedleston, KG, GCSI, GCIE, PC, FBA (11 January 1859–20 March 1925), who was styled as Lord Curzon of Kedleston between 1898 and 1911, and as Earl Curzon of Kedleston between 1911 and 1921, and was known commonly as Lord Curzon, was a British Conservative statesman, who served as Viceroy of India, from 1899 to 1905, during which time he created the territory of Eastern Bengal and Assam, and as Secretary of State for Foreign Affairs, from 1919 to 1924. Despite his illustrious success as both Viceroy and Foreign Secretary, especially at the recent Conference of Lausanne, in 1923 Curzon was denied the office of Prime Minister in favour of Stanley Baldwin. This was partly because Curzon was a member of the House of Lords and because Lord Davidson—to whom Baldwin was loyal—and Sir Charles Waterhouse falsely claimed to Lord Stamfordham that the resigned Prime Minister Bonar Law had recommended that George V appoint Baldwin, not Curzon, as his successor. Curzon's character polarised opinion amongst his contemporaries: Winston Churchill said that Curzon "sow[ed] gratitude and resentment along his path with equally lavish hands". He quarreled continually, and his arrogance and inflexibility provoked the enmity of some in government. His biographers unanimously contend that the extent of his efforts for the British Empire was unrecompensed by the polity subsequent to his retirement from the office of Viceroy of India. Leonard Mosley described him as 'a devoted and indefatigable public servant, dedicated to the idea of Empire'. Curzon was the eldest son and second of eleven children of Alfred Curzon, the 4th Baron Scarsdale (1831–1916), Rector of Kedleston in Derbyshire, and his wife Blanche (1837–1875), daughter of Joseph Pocklington Senhouse of Netherhall in Cumberland. He was born at Kedleston Hall, built on the site where his family, who were of Norman ancestry, had lived since the 12th century. His mother, worn out by childbirth, died when George was 16; her husband survived her by 41 years. Neither parent exerted a major influence on Curzon's life. Scarsdale was an austere and unindulgent father who believed in the long-held family tradition that landowners should stay on their land and not go "roaming about all over the world". 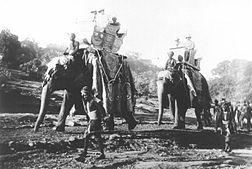 He thus had little sympathy for those journeys across Asia between 1887 and 1895 which made his son one of the most traveled men who ever sat in a British cabinet. A more decisive presence in Curzon's childhood was that of his brutal, sadistic governess, Ellen Mary Paraman, whose tyranny in the nursery stimulated his combative qualities and encouraged the obsessional side of his nature. Paraman used to beat him and periodically forced him to parade through the village wearing a conical hat bearing the words liar, sneak, and coward. Curzon later noted, "No children well born and well-placed ever cried so much and so justly." He was educated at Wixenford School, Eton College, and Balliol College, Oxford. At Eton, he was a favourite of Oscar Browning, an over-intimate relationship that led to his tutor's dismissal. A spinal injury, incurred, during his adolescence, whist riding, left Curzon in lifelong pain, which often caused insomnia, and required him to wear a metal corset for the duration of his life. When Spring-Rice was British Ambassador to the United States, he was suspected by Curzon of trying to prevent Curzon's engagement to the American Mary Leiter, whom Curzon nevertheless married. However, Spring Rice assumed for a certainty, like many of Curzon's other friends, that Curzon would inevitably become Secretary of State for Foreign Affairs: he wrote to Curzon in 1891, 'When you are Secretary of State for Foreign Affairs I hope you will restore the vanished glory of England, lead the European concert, decide the fate of nations, and give me three month's leave instead of two'. Garter-encircled shield of arms of George Curzon, 1st Marquess Curzon of Kedleston, KG, as displayed on his Order of the Garter stall plate in St. George's Chapel. Curzon became Assistant Private Secretary to Salisbury in 1885, and in 1886 entered Parliament as Member for Southport in south-west Lancashire. His maiden speech, which was chiefly an attack on home rule and Irish nationalism, was regarded in much the same way as his oratory at the Oxford Union: brilliant and eloquent but also presumptuous and rather too self-assured. Subsequent performances in the Commons, often dealing with Ireland or reform of the House of Lords (which he supported), received similar verdicts. He was Under-Secretary of State for India in 1891–92 and Under-Secretary of State for Foreign Affairs in 1895–98. In the meantime he had travelled around the world: Russia and Central Asia (1888–89), a long tour of Persia (September 1889 – January 1890), Siam, French Indochina and Korea (1892), and a daring foray into Afghanistan and the Pamirs (1894). He published several books describing central and eastern Asia and related policy issues. A bold and compulsive traveler, fascinated by oriental life and geography, he was awarded the Patron's Gold Medal of the Royal Geographical Society for his exploration of the source of the Amu Darya (Oxus). 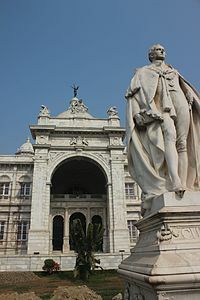 His journeys allowed him to study the problems of Asia and their implications for British India, whilst reinforcing his pride in his nation and her imperial mission. Curzon believed Russia to be the most likely threat to India, Britain's most valuable colony, from the 19th century through the early 20th century. In 1879 Russia had begun construction of the Transcaspian Railroad along the Silk Road, officially solely to enforce local control. The line starts from the city of Kzyzl Su (Krasnovodsk) (nowadays Turkmenbashi) (on the Caspian Sea), travels southeast along the Karakum Desert, through Ashgabat, continues along the Kopet Dagh Mountains until it reaches Tejen. Curzon dedicated an entire chapter in his book Russia in Central Asia to discussing the perceived threat to British control of India. This railroad connected Russia with the most wealthy and influential cities in Central Asia at the time, including the Persian province of Khorasan, and would allow the rapid deployment of Russian supplies and troops into the area. Curzon also believed that the resulting greater economic interdependence between Russia and Central Asia would be damaging to British interests. Curzon was appalled by his government's apathy towards Persia as a valuable defensive buffer to India from Russian encroachment. Years later Curzon would lament that "Persia has alternatively advanced and receded in the estimation of British statesmen, occupying now a position of extravagant prominence, anon one of unmerited obscurity." In 1895 he married Mary Victoria Leiter, the daughter of Levi Ziegler Leiter, an American millionaire of German Mennonite origin and co-founder of the Chicago department store Field & Leiter (later Marshall Field). She had a long and nearly fatal illness near the end of summer 1904, from which she never really recovered. Falling ill again in July 1906, she died on the 18th of that month in her husband's arms, at the age of 36. It was the greatest personal loss of his life. She was buried in the church at Kedleston, where Curzon designed his memorial for her, a Gothic chapel added to the north side of the nave. Although he was neither a devout nor a conventional churchman, Curzon retained a simple religious faith; in later years he sometimes said that he was not afraid of death because it would enable him to join Mary in heaven. They had three daughters during a firm and happy marriage: Mary Irene, who inherited her father's Barony of Ravensdale and was created a life peer in her own right; Cynthia, who became the first wife of the fascist politician Sir Oswald Mosley; and Alexandra Naldera ("Baba"), who married Edward "Fruity" Metcalfe, the best friend, best man and equerry of Edward VIII. Mosley exercised a strange fascination for the Curzon women: Irene had a brief romance with him before either were married; Baba became his mistress; and Curzon's second wife, Grace, had a long affair with him. Curzon and Madho Rao Scindia, Maharaja of Gwalior, pose with hunted tigers, 1901. In January 1899 he was appointed Viceroy of India. He was created a Peer of Ireland as Baron Curzon of Kedleston, in the County of Derby, on his appointment. This peerage was created in the Peerage of Ireland (the last so created) so that he would be free, until his father's death, to re-enter the House of Commons on his return to Britain. Reaching India shortly after the suppression of the frontier risings of 1897–98, he paid special attention to the independent tribes of the north-west frontier, inaugurated a new province called the North West Frontier Province, and pursued a policy of forceful control mingled with conciliation. The only major armed outbreak on this frontier during the period of his administration was the Mahsud–Waziri campaign of 1901. In the context of the Great Game between the British and Russian Empires for control of Central Asia, he held deep mistrust of Russian intentions. This led him to encourage British trade in Persia, and he paid a visit to the Persian Gulf in 1903. Curzon argued for an exclusive British presence in the Gulf, a policy originally proposed by John Malcolm. The British government was already making agreements with local sheiks/tribal leaders along the Persian Gulf coast to this end. Curzon had convinced his government to establish Britain as the unofficial protector of Kuwait with the Anglo-Kuwaiti Agreement of 1899. The Lansdowne Declaration in 1903 stated that the British would counter any other European power's attempt to establish a military presence in the Gulf. Only four years later this position was abandoned and the Persian Gulf declared a neutral zone in the Anglo-Russian Agreement of 1907, prompted in part by the high economic cost of defending India from Russian advances. At the end of 1903, Curzon sent a British expedition to Tibet under Francis Younghusband, ostensibly to forestall a Russian advance. After bloody conflicts with Tibet's poorly armed defenders, the mission penetrated to Lhasa, where a treaty was signed in September 1904. No Russian presence was found in Lhasa. During his tenure, Curzon undertook the restoration of the Taj Mahal and expressed satisfaction that he had done so. Within India, Curzon appointed a number of commissions to inquire into education, irrigation, police and other branches of administration, on whose reports legislation was based during his second term of office as viceroy. Reappointed Governor-General in August 1904, he presided over the 1905 partition of Bengal, which roused such bitter opposition among the people of the province that it was later revoked (1911). Curzon also took an active interest in military matters. In 1901, he founded the Imperial Cadet Corps, or ICC. The ICC was a corps d'elite, designed to give Indian princes and aristocrats military training, after which a few would be given officer commissions in the Indian Army. But these commissions were "special commissions" which did not empower their holders to command any troops. Predictably, this was a major stumbling block to the ICC's success, as it caused much resentment among former cadets. Though the ICC closed in 1914, it was a crucial stage in the drive to Indianise the Indian Army's officer Corps, which was haltingly begun in 1917. Military organisation proved to be the final issue faced by Curzon in India. It often involved petty issues that had much to do with clashes of personality: Curzon once wrote on a document "I rise from the perusal of these papers filled with the sense of the ineptitude of my military advisers", and once wrote to the Commander-in-Chief in India, Kitchener, advising him that signing himself "Kitchener of Khartoum" took up too much time and space, which Kitchener thought petty (Curzon simply signed himself "Curzon" as if he were a hereditary peer, although he later took to signing himself "Curzon of Kedleston"). 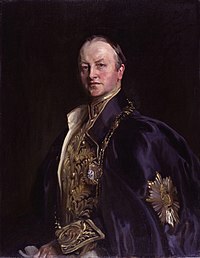 A difference of opinion with Kitchener, regarding the status of the military member of the council in India (who controlled army supply and logistics, which Kitchener wanted under his own control), led to a controversy in which Curzon failed to obtain the support of the home government. He resigned in August 1905 and returned to England. A major famine coincided with Curzon's time as viceroy in which 1 to 4.5 million people died. Large parts of India were affected and millions died, and Curzon has been criticised for allegedly having done little to fight the famine. Curzon did implement a variety of measures, including opening up famine relief works that fed between 3 and 5 million, reducing taxes and spending vast amounts of money on irrigation works. But he also stated that "any government which imperiled the financial position of India in the interests of prodigal philanthropy would be open to serious criticism; but any government which by indiscriminate alms-giving weakened the fibre and demoralized the self-reliance of the population, would be guilty of a public crime." He also cut back rations that he characterized as "dangerously high" and stiffened relief eligibility by reinstating the Temple tests. Arthur Balfour's refusal to recommend an earldom for Curzon in 1905 was repeated by Sir Henry Campbell-Bannerman, the Liberal Prime Minister, who formed his government the day after Curzon returned to England. In deference to the wishes of the King and the advice of his doctors, Curzon did not stand in the general election of 1906 and thus found himself excluded from public life for the first time in twenty years. It was at this time, the nadir of his career, that he suffered the greatest personal loss of his life. Mary died in 1906 and Curzon devoted himself to private matters, including establishing a new home. After the death of Lord Goschen in 1907, the post of Chancellor of Oxford University fell vacant. Curzon successfully became elected as Chancellor of Oxford after he won by 1001 votes to 440 against Lord Rosebery. He proved to be quite an active Chancellor – "[he] threw himself so energetically into the cause of university reform that critics complained he was ruling Oxford like an Indian province." In 1908, Curzon was elected a representative peer for Ireland, and thus relinquished any idea of returning to the House of Commons. In 1909–1910 he took an active part in opposing the Liberal government's proposal to abolish the legislative veto of the House of Lords, and in 1911 was created Baron Ravensdale, of Ravensdale in the County of Derby, with remainder (in default of heirs male) to his daughters, Viscount Scarsdale, of Scarsdale in the County of Derby, with remainder (in default of heirs male) to the heirs male of his father, and Earl Curzon of Kedleston, in the County of Derby, with the normal remainder, all in the Peerage of the United Kingdom. He became involved with saving Tattershall Castle, Lincolnshire, from destruction. This experience strengthened his resolve for heritage protection. He was one of the sponsors of the Ancient Monuments Consolidation and Amendment Act 1913. On 5 May 1914, he spoke out against a bill in the House of Lords that would have permitted women who already had the right to vote in local elections the right to vote for members of Parliament. Curzon joined the Cabinet, as Lord Privy Seal, when Asquith formed his coalition in May 1915. Like other politicians (e.g. Chamberlain, Arthur Balfour) Curzon favoured British Empire efforts in Mesopotamia, believing that the increase in British prestige would discourage a German-inspired Muslim revolt in India. Curzon was a member of the Dardanelles Committee and told that body (October 1915) that the recent Salonika expedition was "quixotic chivalry". Early in 1916 Curzon visited Douglas Haig (newly appointed Commander-in-Chief of British forces in France) at his headquarters in France. Haig was impressed by Curzon's brains and decisiveness, considering that he had mellowed since his days as Viceroy (the then Major-General Haig had been Inspector-General of Cavalry, India, at the time) and had lost "his old pompous ways". Curzon served in Lloyd George's small War Cabinet as Leader of the House of Lords from December 1916, and he also served on the War Policy Committee. With Allied victory over Germany far from certain, Curzon wrote a paper (12 May 1917) for the War Cabinet urging that Britain seize Palestine and possibly Syria. However, like other members of the War Cabinet, Curzon supported further Western Front offensives lest, with Russian commitment to the war wavering, France and Italy be tempted to make a separate peace. At the War Policy Committee (3 October 1917) Curzon objected in vain to plans to redeploy two divisions to Palestine, with a view to advancing into Syria and knocking Turkey out of the war altogether. Curzon's commitment wavered somewhat as the losses of Third Ypres mounted. In the summer of 1917 the CIGS General Robertson sent Haig a biting description of the members of the War Cabinet, who he said were all frightened of Lloyd George; he described Curzon as "a gasbag". During the crisis of February 1918, Curzon was one of the few members of the government to support Robertson, threatening in vain to resign if he were removed. Despite his continued opposition to votes for women (he had earlier headed the Anti-Suffrage League), the House of Lords voted conclusively in its favour. After a long affair with the romantic novelist Elinor Glyn, Curzon married the former Grace Elvina Hinds in January 1917. 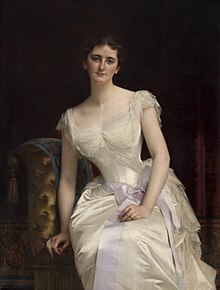 She was the wealthy Alabama-born widow of Alfredo Huberto Duggan (died 1915), a first-generation Irish Argentinian appointed to the Argentine Legation in London in 1905. 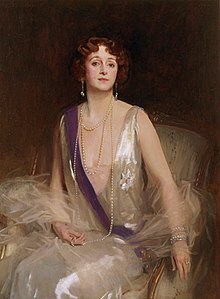 Elinor Glyn was staying with Curzon at the time of the engagement and read about it in the morning newspapers. Grace had three children from her first marriage, two sons, Alfred and Hubert, and a daughter, Grace Lucille. Alfred and Hubert, as Curzon's step-sons, grew up within his influential circle. Curzon had three daughters from his first marriage, but he and Grace (despite fertility-related operations and several miscarriages) did not have any children together, which put a strain on their marriage. Letters written between them in the early 1920s imply that they still lived together, and remained devoted to each other. In 1923, Curzon was passed over for the office of Prime Minister partly on the advice of Arthur Balfour, who joked that Curzon "has lost the hope of glory but he still possesses the means of Grace". In 1917, Curzon bought Bodiam Castle in East Sussex, a 14th-century building that had been gutted during the English Civil War. He restored it extensively, then bequeathed it to the National Trust. Curzon did not have David Lloyd George's support. Curzon and Lloyd George had disliked one another since the 1911 Parliament Crisis. The Prime Minister thought him overly pompous and self-important, and it was said that he used him as if he were using a Rolls-Royce to deliver a parcel to the station; Lloyd George said much later that Churchill treated his Ministers in a way that Lloyd George would never have treated his: "They were all men of substance — well, except Curzon." Multiple drafts of resignation letters written at this time were found upon Curzon's death. Despite their antagonism, the two were often in agreement on government policy. Lloyd George needed the wealth of knowledge Curzon possessed so was both his biggest critic and, simultaneously, his largest supporter. Likewise, Curzon was grateful for the leeway he was allowed by Lloyd George when it came to handling affairs in the Middle East. Other cabinet ministers also respected his vast knowledge of Central Asia but disliked his arrogance and often blunt criticism. Believing that the Foreign Secretary should be non-partisan, he would objectively present all the information on a subject to the Cabinet, as if placing faith in his colleagues to reach the appropriate decision. Conversely, Curzon would take personally and respond aggressively to any criticism. It has been suggested that Curzon's defensiveness reflected institutional insecurity by the Foreign Office as a whole. During the 1920s the Foreign Office was often a passive participant in decisions which were mainly reactive and dominated by the Prime Minister. The creation of the job of Colonial Secretary, the Cabinet Secretariat and the League of Nations added to the Foreign Office's insecurity. The territorial changes of Poland. Light blue line: Curzon Line "B" as proposed by Lord Curzon in 1919. Dark blue line: "Curzon" Line "A" as proposed by the Soviet Union in 1940. Pink: Formerly German provinces annexed by Poland after World War II. Grey: Pre-World War II Polish territory east of the Curzon Line annexed by the Soviet Union after the war. After nine months as acting Secretary while Balfour was at the Paris Peace Conference, Curzon was appointed Foreign Secretary in October 1919. He gave his name to the British government's proposed Soviet-Polish boundary, the Curzon Line of December 1919. Although during the subsequent Russo-Polish War, Poland conquered ground in the east, after World War II, Poland was shifted westwards, leaving the border between Poland and its eastern neighbours today approximately at the Curzon Line. Curzon was largely responsible for the Peace Day ceremonies on 19 July 1919. These included the plaster Cenotaph, designed by the noted British architect Sir Edwin Lutyens, for the Allied Victory parade in London. It was so successful that it was reproduced in stone, and still stands. 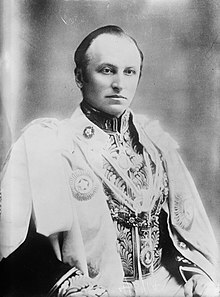 In 1918, during World War I, as Britain occupied Mesopotamia (modern Iraq), Curzon tried to convince the Indian government to reconsider his scheme for Persia (modern Iran) to be a buffer against Russian advances. British and Indian troops were in Persia protecting the oilfields at Abadan and watching the Afghan frontier – Curzon believed that British economic and military aid, sent via India, could prop up the Persian government and make her a British client state. However, the agreement of August 1919 was never ratified and the British government rejected the plan as Russia had the geographical advantage and the defensive benefits would not justify the high economic cost. Small British forces had twice occupied Baku on the Caspian in 1918, while an entire British division had occupied Batum on the Black Sea, supervising German and Turkish withdrawal. Against Curzon's wishes, but on the advice of Sir George Milne, the commander on the spot, the CIGS Henry Wilson, who wanted to concentrate troops in Britain, Ireland, India, and Egypt, and of Churchill (Secretary of State for War), the British withdrew from Baku (the small British naval presence was also withdrawn from the Caspian Sea), at the end of August 1919 leaving only 3 battalions at Batum. In January 1920 Curzon insisted that British troops remain in Batum, against the wishes of Wilson and the Prime Minister. In February, while Curzon was on holiday, Wilson persuaded the Cabinet to allow withdrawal, but Curzon had the decision reversed on his return, although to Curzon's fury (he thought it "abuse of authority") Wilson gave Milne permission to withdraw if he deemed it necessary. At Cabinet on 5 May 1920 Curzon "by a long-winded jaw" (in Wilson's description) argued for a stay in Batum. After a British garrison at Enzeli (on the Persian Caspian coast) was taken prisoner by Bolshevik forces on 19 May 1920, Lloyd George finally insisted on a withdrawal from Batum early in June 1920. For the rest of 1920 Curzon, supported by Milner (Colonial Secretary), argued that Britain should retain control of Persia. When Wilson asked (15 July 1920) to pull troops out of Persia to put down the rebellion in Mesopotamia and Ireland, Lloyd George blocked the move, saying that Curzon "would not stand it". In the end, financial retrenchment forced a British withdrawal from Persia in the spring of 1921. Curzon helped in several Middle Eastern problems: he helped to negotiate Egyptian independence (granted in 1922) and the division of the British Mandate of Palestine, despite the strong disagreement he held with the policy of his predecessor Lord Balfour, and helped create the Emirate of Transjordan for Faisal's brother, which may also have delayed the problems there. According to Sir David Gilmour, Curzon "was the only senior figure in the British government at the time who foresaw that its policy would lead to decades of Arab–Jewish hostility". During the Irish War of Independence, but before the introduction of martial law in December 1920, Curzon suggested the "Indian" solution of blockading villages and imposing collective fines for attacks on the police and army. In 1921 Curzon was created Earl of Kedleston, in the County of Derby, and Marquess Curzon of Kedleston. In 1922, he was the chief negotiator for the Allies of the Treaty of Lausanne. Unlike many leading Conservative members of Lloyd George's Coalition Cabinet, Curzon ceased to support Lloyd George over the Chanak Crisis and had just resigned when Conservative backbenchers voted at the Carlton Club meeting to end the Coalition in October 1922. Curzon was thus able to remain Foreign Secretary when Bonar Law formed a purely Conservative ministry. In 1922–23 Curzon had to negotiate with France after French troops occupied the Ruhr to enforce the payment of German reparations; he described the French Prime Minister (and former President) Raymond Poincaré as a "horrid little man". Curzon had expansive ambitions and was not much happier with Bonar Law, whose foreign policy was based on "retrenchment and withdrawal", than he had been with Lloyd George. However he provided invaluable insight into the Middle East and was instrumental in shaping British foreign policy in that region. On Bonar Law's retirement as Prime Minister in May 1923, Curzon was passed over for the job in favour of Stanley Baldwin, despite having written Bonar Law a lengthy letter earlier in the year complaining of rumours that he was to retire in Baldwin's favour, and listing the reasons he should have the top job. This decision was taken on the private advice of leading members of the party including former Prime Minister Arthur Balfour. Balfour advised the monarch that in a democratic age it was inappropriate for the Prime Minister to be a member of the House of Lords, especially when the Labour Party, which had few peers, had become the main opposition party in the Commons. In private Balfour admitted that he was prejudiced against Curzon, whose character was objectionable to some. George V shared this prejudice. A letter purporting to detail the opinions of Bonar Law but actually written by Baldwin sympathisers was delivered to the King's Private Secretary Lord Stamfordham, though it is unclear how much impact this had in the final outcome. Curzon, summoned by Stamfordham, traveled to London by train assuming he was to be appointed Prime Minister, and is said to have burst into tears when told the truth. He later described Baldwin as "a man of the utmost insignificance", although he served under Baldwin and proposed him for the leadership of the Conservative Party. Curzon remained Foreign Secretary under Baldwin until the government fell in January 1924. When Baldwin formed a new government in November 1924 he appointed Curzon Lord President of the Council. In March 1925 Curzon suffered a severe haemorrhage of the bladder. Surgery was unsuccessful and he died in London on 20 March 1925 at the age of 66. His coffin, made from the same tree at Kedleston that had encased his first wife, Mary, was taken to Westminster Abbey and from there to his ancestral home in Derbyshire, where he was interred beside Mary in the family vault at All Saints Church on 26 March. Upon his death the Barony, Earldom and Marquessate of Curzon of Kedleston and the Earldom of Kedleston became extinct, whilst the Viscountcy and Barony of Scarsdale were inherited by a nephew. The Barony of Ravensdale was inherited by his eldest daughter Mary and is today held by his second daughter Cynthia's great-grandson, Daniel Nicholas Mosley, 4th Baron Ravensdale. There is now a blue plaque on the house in London where Curzon lived and died, No. 1 Carlton House Terrace, Westminster. On his appointment as Viceroy of India in 1898, he was created Baron Curzon of Kedleston, in the County of Derby. This title was created in the Peerage of Ireland to enable him to potentially return to the House of Commons, as Irish peers did not have an automatic right to sit in the House of Lords. His was the last title to be created in the Peerage of Ireland. In 1908, he was elected a representative of the Irish peerage in the British House of Lords, from which it followed that he would be a member of the House of Lords until death; indeed, his representative peerage would continue even if (as proved to be the case) he later received a United Kingdom peerage entitling him to a seat in the House of Lords in his own right. In 1911 he was created Earl Curzon of Kedleston, Viscount Scarsdale, and Baron Ravensdale. All of these titles were in the Peerage of the United Kingdom. Upon his father's death in 1916, he also became 5th Baron Scarsdale, in the Peerage of Great Britain. The title had been created in 1761. In the 1921 Birthday Honours, he was created Marquess Curzon of Kedleston and Earl of Kedleston. Both titles were extinct upon his death in 1925, as he was survived by three daughters and no sons. Curzon's career was an almost unparallelled blend of triumph and disappointment. Although he was the last and in many ways the greatest of Victorian viceroys, his term of office ended in resignation, empty of recognition and devoid of reward.... he was unable to assert himself fully as foreign secretary until the last weeks of Lloyd George's premiership. Finally, after he had restored his reputation at Lausanne, his ultimate ambition was thwarted by George V.
The morning had been golden; the noontide was bronze; and the evening lead. But all were polished till it shone after its fashion. it was certainly not information nor application, nor power of speech nor attractiveness of manner and appearance. Everything was in his equipment. You could unpack his knapsack and take an inventory item by item. Nothing on the list was missing, yet somehow or other the total was incomplete. His Cabinet colleague The Earl of Crawford provided a withering personal judgment in his diary; "I never knew a man less loved by his colleagues and more hated by his subordinates, never a man so bereft of conscience, of charity or of gratitude. On the other hand the combination of power, of industry, and of ambition with a mean personality is almost without parallel. I never attended a funeral ceremony at which the congregation was so dry-eyed!" After every other Viceroy has been forgotten, Curzon will be remembered because he restored all that was beautiful in India. Curzon Hall, the home of the faculty of science at the University of Dhaka, is named after him. Lord Curzon himself inaugurated the building in 1904. Curzon Gate, a ceremonial gate, was erected by Maharaja Bijay Chand Mahatab in the heart of Burdwan town to commemorate Lord Curzon's visit to the town in 1904, which was renamed as Bijay Toran after the independence of India in 1947. Curzon Road, the road connecting India Gate, the memorial dedicated to the Indian fallen during the Great War of 1914–18, and Connaught Place, in New Delhi was named after him. It has since been renamed Kasturba Gandhi Marg. The apartment buildings on the same road are still named after him. ^ Mosley, Leonard (1961). Curzon: The End of an Epoch. pp. 264–275. ^ Mosley, Leonard (1961). Curzon: The End of an Epoch. p. 288. ^ Eton, the Raj and modern India; By Alastair Lawson; 9 March 2005; BBC News. This article incorporates text from a publication now in the public domain: Chisholm, Hugh, ed. (1911). "Curzon of Kedleston, George Nathaniel, 1st Baron" . Encyclopædia Britannica. 7 (11th ed.). Cambridge University Press. p. 665. ^ Mosley, Leonard (1961). Curzon: The End of an Epoch. Longmans, Green, and Co. p. (need page). ^ Burton, David Henry (1990). Cecil Spring Rice: A Diplomat's Life. Page 22: Fairleigh Dickinson Univ Press. ISBN 978-0-8386-3395-3. ^ Mosley, Leonard (1961). Curzon: The End of an Epoch. Longmans, Green, and Co. p. 26. ^ Mosley, Leonard (1961). Curzon: The End of an Epoch. Longmans, Green, and Co. p. 43. ^ Mosley, Leonard (1961). Curzon: The End of an Epoch. ^ Curzon, Russia in Central Asia (1967), p. 314. ^ Curzon, Russia in Central Asia (1967), p. 272. ^ Denis Wright, "Curzon and Persia," The Geographical Journal 153#3 (November 1987): 343. ^ Curzon, Russia in Central Asia p. 277. ^ Denis Wright, "Curzon and Persia," The Geographical Journal 153#3 (November 1987):346. ^ Brockway, Thomas P (1941). "Britain and the Persian Bubble, 1888–1892". The Journal of Modern History. 13 (1): 46. doi:10.1086/243919. ^ George N. Curzon, Persia and the Persian Question (Volume 1). New York: Barnes & Noble, 1966, p 605. ^ "No. 27016". The London Gazette. 21 October 1898. p. 6140. ^ M. E. Yapp, "British Perceptions of the Russian Threat to India," Modern Asian Studies 21#4 (1987): 655. ^ Yapp, pp 655, 664. ^ "First Partition of Bengal". www.indhistory.com. ^ Fieldhouse 1996, p. 132 Quote: "In the later nineteenth century there was a series of disastrous crop failures in India leading not only to starvation but to epidemics. Most were regional, but the death toll could be huge. Thus, to take only some of the worst famines for which the death rate is known, some 800,000 died in the North West Provinces, Punjab, and Rajasthan in 1837–38; perhaps 2 million in the same region in 1860–61; nearly a million in different areas in 1866–67; 4.3 million in widely spread areas in 1876–78, an additional 1.2 million in the North West Provinces and Kashmir in 1877–78; and, worst of all, over 5 million in a famine that affected a large population of India in 1896–97. In 1899–1900 more than a million were thought to have died, conditions being worse because of the shortage of food following the famines only two years earlier. Thereafter the only major loss of life through famine was in 1943 under exceptional wartime conditions.(p. 132)"
^ David Gilmour's Curzon and Ruling Caste. In Curzon he writes that 3.5 million were on famine relief, in Ruling Caste he writes it was over five million. ^ The Rt. Hon. The Earl of Ronaldshay. The Life of Curszon Vol.3. ^ "No. 28547". The London Gazette. 3 November 1911. p. 7951. ^ Winterman, Denise (2013-03-07). "The man who demolished Shakespeare's house". BBC News. ^ Johnson, Gaynor "Preparing for Office: Lord Curzon as Acting Foreign Secretary, January- October 1919." Contemporary British History 18.3 (2004): 56. ^ G.H. Bennett, "Lloyd George, Curzon and the Control of British Foreign Policy 1919–22," Australian Journal of Politics & History 45#4 (1999): 479. ^ Bennett, G.H. (1999). "Lloyd George, Curzon and the Control of British Foreign Policy 1919–22". Australian Journal of Politics & History. 45 (4): 472. doi:10.1111/1467-8497.00076. ^ Sharp, Alan "Adapting to a New World? British Foreign Policy in the 1920s." Contemporary British History 18.3 (2004): 76. ^ Bennett, G.H. (1999). "Lloyd George, Curzon and the Control of British Foreign Policy 1919–22". Australian Journal of Politics & History. 45 (4): 473. doi:10.1111/1467-8497.00076. ^ Gaynor Johnson, "Preparing for Office: Lord Curzon as Acting Foreign Secretary, January–October 1919", Contemporary British History, vol. 18, n°3, 2004, pp. 53–73. ^ Sarah Meiklejohn Terry (1983). Poland's Place in Europe: General Sikorski and the Origin of the Oder-Neisse Line, 1939–1943. Princeton University Press. p. 121. ISBN 9781400857173. ^ Jeffery 2006, pp. 251–252. ^ Jeffery 2006, pp. 233–234, 247–251. ^ a b Gilmour, David (1996). "The Unregarded Prophet: Lord Curzon and the Palestine Question". Journal of Palestine Studies. 25 (3): 60–68. doi:10.2307/2538259. JSTOR 2538259. ^ Jeffery 2006, pp. 266–267. ^ "No. 32376". The London Gazette. 1 July 1921. p. 5243. ^ Bennett, "Lloyd George, Curzon and the Control of British Foreign Policy 1919–22," p. 477. ^ "George Nathaniel Curzon blue plaque". openplaques.org. Retrieved 13 May 2013. ^ "No. 32346". The London Gazette (Supplement). 4 June 1921. p. 4529. ^ "Lord Curzon: A Great Career". The Times. The Times Digital Archive. 21 March 1925. p. 7. ^ Roy, Amit (2005-01-15). "Reviled-Curzon-name-wins-new-respect-in-India". telegraph.co.uk. Retrieved 29 August 2017. ^ "When Curzon rescued Ahmedabad's icon". timesofindia.indiatimes.com. Retrieved 5 July 2017. Curzon, The Pamirs and the Source of the Oxus, 1897, The Royal Geographical Society. Geographical Journal 8 (1896): 97–119, 239–63. A thorough study of the region's history and people and of the British–Russian conflict of interest in Turkestan based on Curzon's travels there in 1894. Reprint (paperback): Adamant Media Corporation, ISBN 978-1-4021-5983-1 (22 April 2002) Abstract. Unabridged reprint (2005): Elbiron Classics, Adamant Media Corporation; ISBN 1-4021-5983-8 (pbk); ISBN 1-4021-3090-2 (hardcover). Curzon, The Romanes Lecture 1907, FRONTIERS by the Right Hon Lord Curzon of Kedleston G.C.S.I., G.C.I.E., PC, D.C.L., LL.D., F.R.S., All Souls College, Chancellor of the University, Delivered in the Sheldonian Theatre, Oxford, 2 November 1907 full text. Bennet, G. H. (1995). British Foreign Policy During the Curzon Period, 1919–1924. New York: St. Martin's Press. ISBN 0-312-12650-6. Carrington, Michael. Officers, Gentlemen, and Murderers: Lord Curzon’s campaign against ‘collisions’ between Indians and Europeans, 1899–1905,Modern Asian Studies 47:03, May 2013, pp. 780–819. Carrington, Michael. A PhD thesis, "Empire and authority: Curzon, collisions, character and the Raj, 1899–1905. ", discusses a number of interesting issues raised during Curzon's Viceroyalty (available through British Library). Goradia, Nayana. Lord Curzon The Last of the British Moghuls (1993) full text online free. Katouzian, Homa. "The Campaign Against the Anglo-Iranian Agreement of 1919." British Journal of Middle Eastern Studies 25 (1) (1998): 5–46. Lindsay, David (1984). John Vincent, ed. The Crawford Papers: The journals of David Lindsay, twenty-seventh Earl of Crawford and tenth Earl of Balcarres 1871–1940 during the years 1892 to 1940. Manchester: Manchester University Press. ISBN 978-0-71900-948-8. Wright, Denis. "Curzon and Persia." The Geographical Journal 153 (3) (1987): 343–350. Wikimedia Commons has media related to George Curzon, 1st Marquess Curzon of Kedleston. "Archival material relating to George Curzon, 1st Marquess Curzon of Kedleston". UK National Archives.